Mumbai, December 19, 2017: It’s that time of the year to shop till you drop! Starting December 23, 2017, enjoy up to 51% off on the best Indian and international brands at Shoppers Stop stores, www.shoppersstop.com and HomeStop. 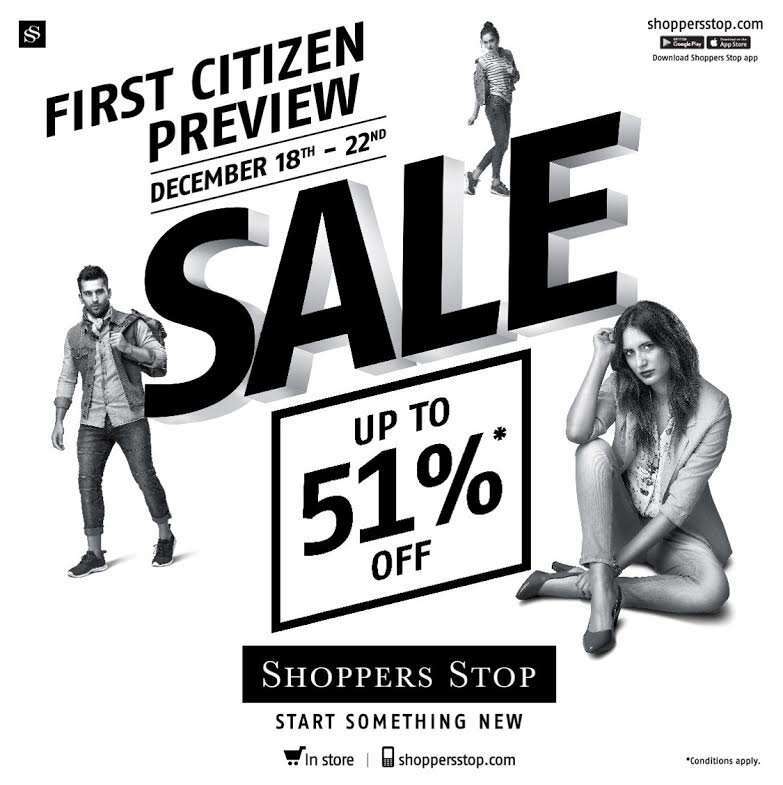 Moreover, Shoppers Stop Golden Glow First Citizen members can enjoy an additional 5%* discount (as First Citizen Reward Points) on the nett prices of sale merchandise.